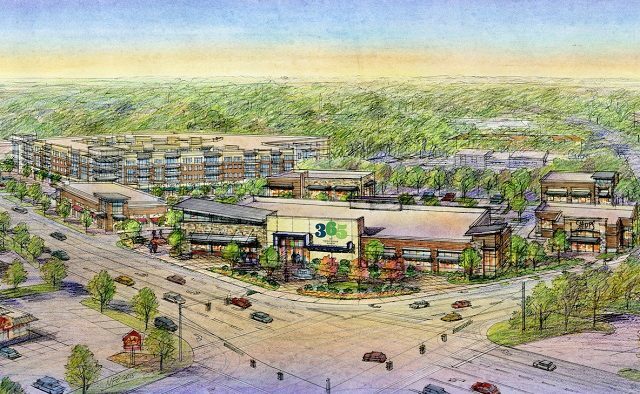 The Whole Foods 365 store in greater Decatur will officially open on Dec. 12 at 9 a.m., the company says. 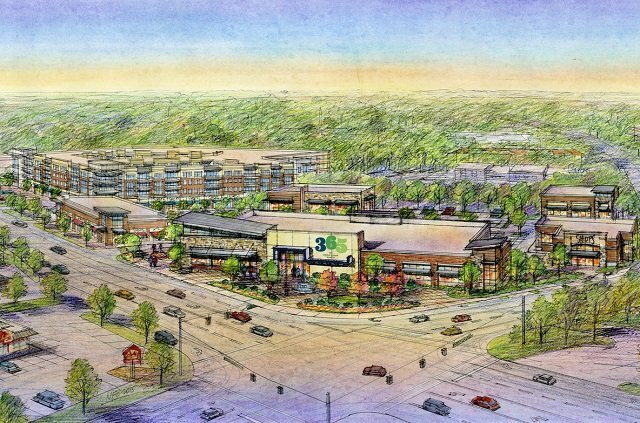 Whole Foods 365 will be located at 1555 Church Street, anchoring the North Decatur Square shopping center. Another Whole Foods 365 store will open in Buckhead on that same day. There will be giveaways on opening day. The store will employ about 100 full and part time employees. Store hours will be 7 a.m. to 10 p.m.
ATLANTA, GA. (Nov. 5, 2018) – Whole Foods Market 365 today announced its first two Atlanta stores will open in Decatur and Buckhead on Wednesday, Dec. 12 at 9 a.m. The Decatur store will be located at 1555 Church St., while the Buckhead store will be located at 3535 Northside Parkway. Whole Foods Market 365 stores offer exceptional value and unique products in a fun and convenient new format that makes healthy living easy and affordable, all while maintaining Whole Foods Market’s rigorous quality standards including no artificial flavors, colors, sweeteners or preservatives, as well as no hydrogenated fats and no high-fructose corn syrup. Shoppers will find Global Animal Partnership 5-Step Animal Welfare Rated meat, sustainably caught and responsibly farmed seafood, freshly prepared grab-and-go items, a huge produce selection (including a large organic mix), a variety of special diet options and a vast floral selection with prices starting at $5. As part of the Friends of Whole Foods Market program, both the Decatur and Buckhead stores will feature an onsite authentic Mexican cuisine-focused restaurant, Loteria Grill, from Chef Jimmy Shaw. The in-store eateries will serve as the first locations for the Los Angeles based restaurant in the Atlanta area. Through the Friends of Whole Foods Market program, the company partners with outside chefs, culinary and lifestyle brands, to bring shoppers innovative in-store experiences. All Friends partners operate as independent shops within Whole Foods Market stores, share Whole Foods Market’s high-quality standards, and have unique expertise in a cuisine, concept or product. Also part of the Friends of Whole Foods Market program, the Decatur store will house the fourth location for homegrown Atlanta-based dtox juice, and Pour de Leon, a self-serve draft beer, wine and cider venue that also features light bites and a children’s play area. Sublime Tree will be opening their second location in the Buckhead store. Affordable, high-quality produce: Including over 200 organic options, and convenient pre-cut vegetables like zucchini noodles and riced cauliflower that make healthy meal prep quick and easy. Fresh meat & seafood: Like “Butcher’s Cut” specialty cuts, value packs of affordable household favorites and fresh, marinated meat and seafood, local beef and pork, and more. Innovative new flavors from 365 Everyday Value: The brand’s private label products range from kitchen staples to seasonal favorites and bring the latest culinary trends at affordable prices without sacrificing quality. Carefully curated product selection: Featuring great products at a strong value, like seasonal vegan offerings and non-dairy frozen treats. Specialty cheeses: Which includes a hand-picked selection of over 75 convenient grab-and-go artisanal cheeses, and exclusive items like Vermont Creamery’s Minimont. Grab-and-go: Build-your-own salad and meals at hot and cold bars with fresh ingredients. Shoppers can pick up ready-made wraps, sushi, Detroit-style square pizza by the slice, sandwiches, pastas, and breakfast tacos, and favorites like cakes, pies, fruit and veggie trays. Or visit the sandwich counter for made-to-order options. Fresh baked goods: Pick up fresh baked breads and pastries by Atlanta favorites Alon’s Bakery & Market and H&F Bread Co. Mix-and-match, self-serve bakery items include a cookie bar and a macaron bar with an array of flavors. On-site beverage pairing kiosk: Use the tablet-based electronic kiosk to scan wine, beer or spirit labels for food pairing ideas, ratings, user reviews and recommendations. You’ll fine 400 plus wines under $25, including eco-friendly and biodynamic wines. A wide selection of beer, including seasonal and local favorites. Plus special occasion drinks like sparkling wine, sake and sangria. On opening day, the first 100 customers in line at either store will receive a Whole Foods Market 365 gift card ranging in value from $5 to $365 and a free reusable tote bag. Whole Foods Market 365 will have coffee, snacks and music for shoppers waiting in line, and doors will open at 9 a.m. The Decatur store will employ approximately 100 full and part time team members. The store will be open from 7 a.m. – 10 p.m. daily. The Buckhead store employ approximately 100 full and part time team members. The store will be open from 7 a.m. – 10 p.m. daily. For more, visit the Whole Foods Market 365 website, or follow on Facebook, Instagram and Twitter. For 39 years, Whole Foods Market has been the world’s leading natural and organic foods retailer. As the first national certified organic grocer, Whole Foods Market has over 470 stores in the United States, Canada and United Kingdom. To learn more about Whole Foods Market, please visit https://media.wholefoodsmarket.com/.